Sharing its borders with the world renowned Sabi Sand Game Reserve which forms part of the Greater Kruger region due to having unfenced borders with the Kruger National Park, Tydon Safari Camp offers guests a unique opportunity of staying in permanent semi luxury tented rooms and experiencing wildlife game drives and bush walks in the Sabi Sand as well as the Kruger National Park. Chic African styled tented rooms perched on raised platforms create the perfect ambience for your safari stay. The six tented rooms combine privacy and comfort complete with en suite bathrooms with a shower and air-conditioning while upholding the traditions of an African safari camp. All the rooms feature twin beds with linen and African design bedspreads, side table with lampshade, comfortable chairs, mosquito nets, a mirror stand with hairdryer, luggage stands, plug points as well as tea and coffee making facilities. Providing you with the necessary nutrients for the day, breakfasts will be served in the dining area with a choice of either a traditional fried breakfast or indulge in a fresh fruit salad and yoghurt, while cereals and fruit juices are there to complete your balanced meal. Lunchtimes are in the heat of the day, and with that in mind, we prepare refreshing and light meals which are sure to satisfy the taste buds. A variety of fresh sandwiches, fresh salads, fruits and fruit salads will be served along with an iced cold beverage or fruit juice. The crackling campfire with flickering lanterns under the African skies sets the mood for dinner, while in the distance some evenings, the sounds of nocturnal animals calling in the distance can be heard. Sure to delight your senses, either steaks, boerewors (sausage) or chicken will be prepared to perfection before your eyes and served with salads, bread rolls and corn, while an ice cold beverage or bottle of South African wine compliments the evening meal. 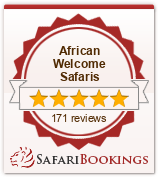 Safari dives are conducted in the Sabi Sand Game Reserve and the Kruger National Park. In addition, we do bush walks and night drives in the Sabi Sand Game Reserve. Each morning your guide will wake you before first light to embark on you safari drive. The bush is already alive, the air filled with birdsong as the rising sunlight dances off beads of dew on spiders’ webs. As the intense heat of the day cools, your afternoon safari drive will see you witness the inhabitants of the bush as they become restless and move out from the shade of the trees in search of water. Watch in awe as the sky turns to the sensational vibrant reds, gold’s and oranges, typical of an African sunset which majestically reflects its rays over rivers, natural waterholes and trickling streams.